This was our first visit to Jamie Oliver's Fifteen in London. I remember years ago watching the TV series when the restaurant was first launched back in 2002. We had booked the Red Letter Days 6 course tasting menu which included a glass of very nice Prosecco. We booked our experience for a Saturday night at 6pm, and we made the actual booking about 6 weeks before we visited. I would recommend booking at least a month before. Although the restaurant seats 140, only a certain proportion of seats are given to experience voucher holders. We walked from Old Street tube station for about 5 minutes and we arrived at the restaurant at around 5.45pm. We were greeted very warmly and taken downstairs to a very nice table in a booth. We had previously telephoned and extended our booking to 3 people, so we took our 7 year old son with us. We then got to see our tasting menu and were provided with some very nice traditional green olives in brine as well as bread (which is freshly baked in house every day). The waiter also brought us our inclusive glasses of Prosecco, which was very nice and not too dry. Fifteen were very accommodating, and offered to cook anything our 7 year old son wanted. He ended up choosing a plate of pasta and sauce for just £7. I have to say the pasta dish was very light and fresh with a very fresh basil taste to it. We had a bottle of house red wine for £19 which I thought was very reasonable and also a very good wine. Every course was amazing, the food tasted really fresh. The jerusalem artichokes tasted amazing and I mistook them for meat, as they had a very meaty texture and feel to them. 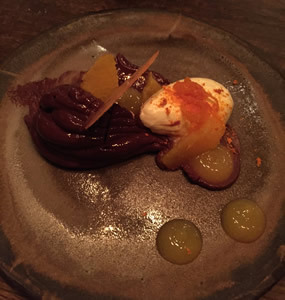 The organic chocolate mousse was very chocolately and was rich in cocoa, my son really enjoyed the richness of this desert. The last course was cheese and biscuits, but by now we were really full, and I do feel that this last course was not really required. The evening finished with us being able to see the kitchen at work and being told by one of the chef's about the kitchen set up and the ingredients as well as having any of our questions answered. The overall service was amazing, nothing was too much trouble and the waiters were always topping up our glasses and looking after us. On our departure we were also warmly thanked by two of the hostesses. 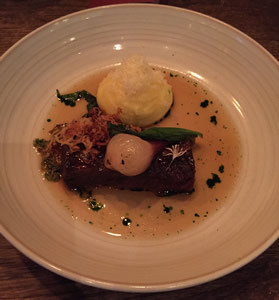 Overall a fantastic meal with brilliant service, we would definitely recommend Jamie Oliver's Fifteen in London and we would go again. 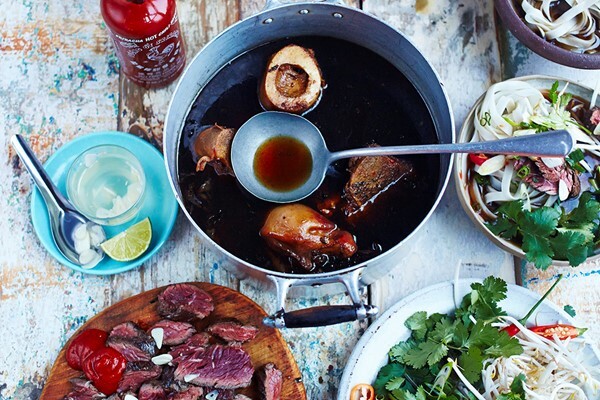 Discover how to make delicious Vietnamese street food during this class at Jamie Oliver's Cookery School in Westfield, London. With state-of-the-art facilities and expert chefs providing one-to-one tuition, it's the perfect opportunity for participants to expand their arsenal of cooking techniques. Sip on a welcome glass of prosecco before learning about the aromatic flavours used in Vietnamese cooking. Particularly known for its pungent ingredients, such as shrimp paste, lime and rich soy sauce, it's a whole new world of flavour sensations! Watch the chef make beef pho and then take over; create prawn and vegetable summer rolls and crispy pork balls. Tuck into the creations at the end with fellow classmates. The flavours and spices of authentic Mexican street food perfectly befit this vibrant culture. Learn how to whip up a Latin American feast at Jamie Oliver's Cookery School in Westfield, London. Offering state-of-the-art facilities and professional chefs handpicked by Jamie, it's a haven for budding cooks. Receive a welcome glass of Prosecco before donning an apron and getting stuck in. Discover how to make easy hand-pressed corn tortillas, sticky smoked chipotle chicken, spicy roasted corn salsa and sauteed spinach with feta. Conjure up a smashed guacamole and a tomato salsa to complement the mains. Then sit down to enjoy the fruits of your labour with the rest of the class. Back home, practise those new-found cooking skills for the next fiesta. Uncover the secrets of traditional Gujarati cuisine at Jamie Oliver's Cookery School in Westfield, London. Thanks to state-of-the-art facilities and expert chefs (handpicked by Jamie himself), the kitchens offer the perfect sanctuary from which to conjure up a toothsome Indian feast. Kick off the day with a glass of Prosecco, then put on an apron and find out just what makes Gujarati cuisine so uniquely versatile. Under the chefs' guidance, create a vegetarian Gujarati thali: an array of small but flavoursome dishes and rice served on a tray. Make lentil dahl with rice, crispy spiced okra, chickpea masala and top it off with fresh chapati bread. Plate up the piping hot, fragrant creations and take a seat alongside classmates to tuck in. Sublime. Creating fresh pasta from scratch is the ultimate dream for aspiring chefs and there's no better place to take on the challenge than at the acclaimed Jamie Oliver Cookery School in Westfield, London. With state-of-the-art facilities and thorough one-to-one tuition provided, participants have a unique chance to refine their skills under the expert guidance of master chefs. On arrival, enjoy a refreshing glass of prosecco before rolling up those sleeves and getting stuck in. Make a variety of delicious pasta, including fettuccine and lasagne, as well as two flavoursome sauces to go with it. Mastering this particular skill is a sure way to impress friends and family. Finish off by tucking into the homemade creations with classmates. Tantalise tastebuds with an Indian cooking sensation, packed full of powerful flavours. Taking place at Jamie Oliver's state-of-the-art cookery school in Westfield, London, learn how to make authentic food alongside expert chefs. With a plethora of knowledge, they'll guide participants through the ingredients, best use of spices and ultimate cooking techniques. What's on the menu? South Indian prawn curry! On arrival, sip a glass of prosecco before donning an apron and creating a fragrant Keralan curry paste that will be the base. From there, work culinary magic to whip up a dish fit for royalty. Afterwards, chat to classmates while tucking into the curry, which is served with fluffy rice, vegetable bhajis and zingy coriander chutney. Making fresh pasta from scratch is the ultimate dream for aspiring chefs and there's no better place to take on the challenge than at the esteemed Jamie Oliver Cookery School in Westfield, London. With state-of-the-art facilities and expert chefs on hand to provide one-to-one tuition, mastering this tricky skill has never been easier. Sip on a glass of prosecco on arrival before donning an apron, rolling up the sleeves and getting stuck in. Learn how to make perfect pasta dough and fill it with a delicious mix of traditional ingredients; test two to three different styles and relax as the fragrant herbs and spices fill the room. At the end of the day, sit down with the class and sample your creations - it's a decadent Italian treat! 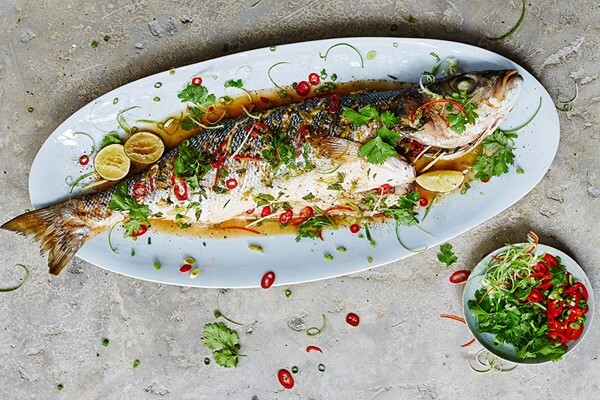 This Thai Feast cookery class at The Jamie Oliver Cookery School will help you learn some of the skills and techniques that make Thai cuisine so special. Led by a professional chef - picked by Jamie Oliver himself - you'll use the best, fresh ingredients to make authentic Thai food that you can recreate again and again. Jamie Oliver's Cookery School is the ideal place to learn cooking styles and dishes from all across the globe, all in the relaxed and informal fashion that Jamie Oliver's known for, conveniently located in the Westfield Shopping Centre in Shepherds Bush, London. Once there you'll meet one of Jamie's professionals, your lead on a culinary journey designed to be fun for all, whether you're a beginner or a kitchen expert looking to learn something new. Thai food is all about simple ingredients and you'll learn how to put them together right. Learn how to balance the five key taste sensations before creating a delicious meal that you can recreate at home. You'll get cooking sweet and sour prawn soup, crispy fried chilli beef with a tender-stem broccoli and pak choi stir fry. Dessert isn't forgotten as you learn the secrets behind a classic coconut rice pudding with sticky roasted pineapple. This Mexican Street Food cookery class at The Jamie Oliver Cookery School will help you learn some of the skills and techniques that make classic Mexican cooking so special. Led by a professional chef - picked by Jamie Oliver himself - you'll use the best, fresh ingredients to make an authentic Mexican meal that you can recreate again and again. Jamie Oliver's Cookery School is the ideal place to learn cooking styles and dishes from all across the globe, all in the relaxed and informal fashion that Jamie Oliver's known for, conveniently located in the Westfield Shopping Centre in Shepherds Bush, London. Once there you'll meet one of Jamie's professionals, your lead on a culinary journey designed to be fun for all, whether you're a beginner or a kitchen expert looking to learn something new. You'll make and load up hand-pressed corn tortillas with chipotle chicken, sauteed spinach with feta, and roasted corn salsa, and smash some guacamole together with a chunky salsa to enjoy on the side when it's time to dine. It's fun, it's easy and it's all kinds of delicious, and great to make again when you've got friends over! 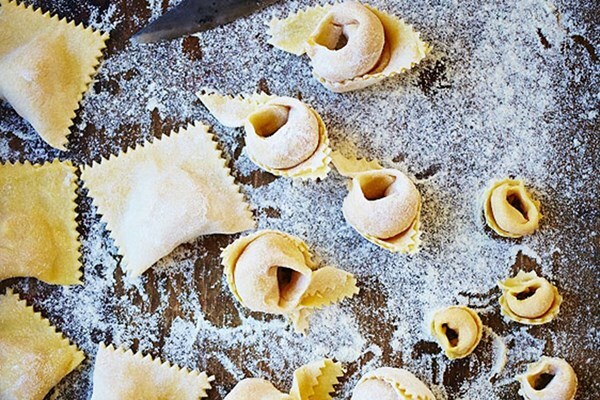 This Unbeatable Filled Pasta class at The Jamie Oliver Cookery School will help you learn some of the skills and techniques that make for exquisite filled pasta. Led by a professional chef - picked by Jamie Oliver himself - you'll use the best, fresh ingredients to make amazing filled pasta that you can recreate again and again. Jamie Oliver's Cookery School is the ideal place to learn cooking styles and dishes from all across the globe, all in the relaxed and informal fashion that Jamie Oliver's known for, conveniently located in the Westfield Shopping Centre in Shepherds Bush, London. Once there you'll meet one of Jamie's professionals, your lead on a culinary journey designed to be fun for all, whether you're a beginner or a kitchen expert looking to learn something new. Once you've cracked it, fresh pasta is super easy to make and even easier to eat. Instantly impressive at any mealtime, you'll be let in on the secrets of perfect pasta dough, every time. Then you'll learn how to make a delicious filling that you'll use to create two or three different types of filled pasta, including ravioli and tortellini. You'll plate it up in a simple sauce for the ultimate Italian treat. 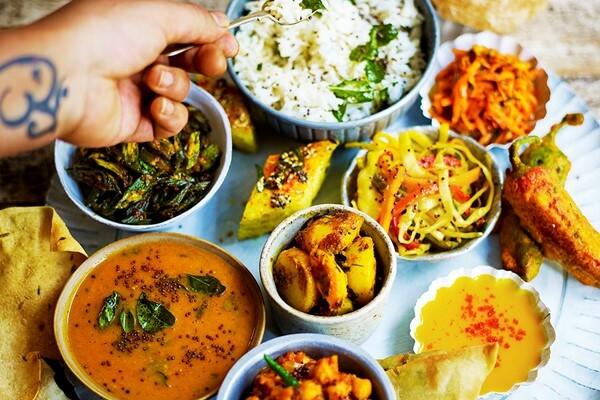 This vegan North Indian Thali cookery class at The Jamie Oliver Cookery School will help you learn some of the skills and techniques that make North Indian cooking so special. Led by a professional chef - picked by Jamie Oliver himself - you'll use the best, fresh ingredients to make an authentic North Indian cuisine that you can recreate again and again. Jamie Oliver's Cookery School is the ideal place to learn cooking styles and dishes from all across the globe, all in the relaxed and informal fashion that Jamie Oliver's known for, conveniently located in the Westfield Shopping Centre in Shepherds Bush, London. Once there you'll meet one of Jamie's professionals, your lead on a culinary journey designed to be fun for all, whether you're a beginner or a kitchen expert looking to learn something new. Traditional Gujarati cuisine is a showcase of different cooking methods and flavours, making it a great cuisine to get familiar with. You'll cook a Vegan Gujurati Thali, a selection of small dishes and rice traditionally served on a tray. Your thali will encompass a lentil dahl, chickpea masala, crispy spiced okra, chapatti bread and stir-fried vegetables. Learn how to serve your banquet before tucking in. 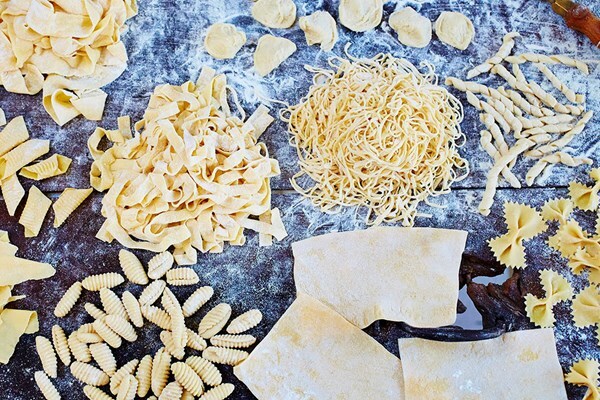 This Pasta Master Class at The Jamie Oliver Cookery School will help you learn some of the skills and techniques that make for exceptional pasta. Led by a professional chef - picked by Jamie Oliver himself - you'll use the best, fresh ingredients to make delicious pastas that you can recreate again and again. Jamie Oliver's Cookery School is the ideal place to learn cooking styles and dishes from all across the globe, all in the relaxed and informal fashion that Jamie Oliver's known for, conveniently located in the Westfield Shopping Centre in Shepherds Bush, London. Once there you'll meet one of Jamie's professionals, your lead on a culinary journey designed to be fun for all, whether you're a beginner or a kitchen expert looking to learn something new. Once you've cracked it, fresh pasta is super easy to make and even easier to eat. Instantly impressive at any mealtime, you'll be let in on the secrets of making perfect pasta dough, every time. You'll use your new skills to make a variety of pasta shapes, from lasagna sheets to fettuccine, served with a lip-smacking simple sauce. 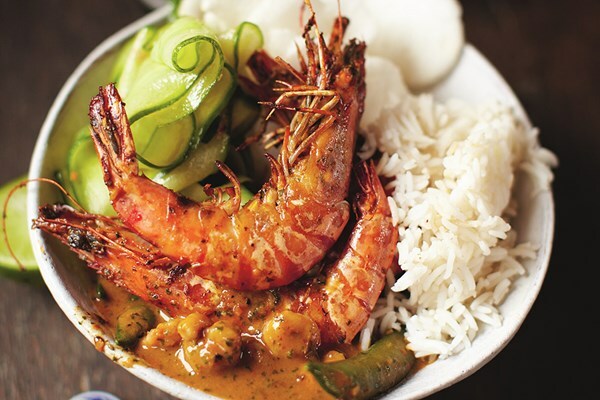 This South Indian Prawn Curry cookery class at The Jamie Oliver Cookery School will help you learn some of the skills and techniques that make classic South Indian cooking so special. Led by a professional chef - picked by Jamie Oliver himself - you'll use the best, fresh ingredients to make an authentic and delicious curry that you can recreate again and again. Jamie Oliver's Cookery School is the ideal place to learn cooking styles and dishes from all across the globe, all in the relaxed and informal fashion that Jamie Oliver's known for, conveniently located in the Westfield Shopping Centre in Shepherds Bush, London. Once there you'll meet one of Jamie's professionals, your lead on a culinary journey designed to be fun for all, whether you're a beginner or a kitchen expert looking to learn something new. You'll learn how to make a Keralan curry paste that can be used in all sorts of curry dishes, turning this one into a fragrant prawn curry popular in south India to be enjoyed with fluffy rice, vegetable bhajis and a coriander chutney - all lovingly made with a touch from your own hands. 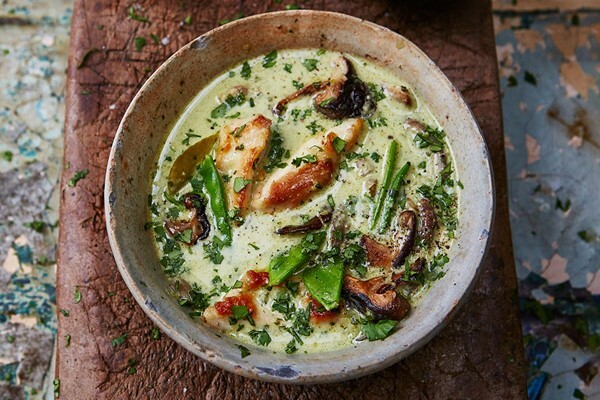 This Fragrant Thai Green Curry cookery class at The Jamie Oliver Cookery School will help you learn some of the skills and techniques that make classic Thai cooking so special. Led by a professional chef - picked by Jamie Oliver himself - you'll use the best, fresh ingredients to make an authentic Thai meal that you can recreate again and again. Jamie Oliver's Cookery School is the ideal place to learn cooking styles and dishes from all across the globe, all in the relaxed and informal fashion that Jamie Oliver's known for, conveniently located in the Westfield Shopping Centre in Shepherds Bush, London. Once there you'll meet one of Jamie's professionals, your lead on a culinary journey designed to be fun for all, whether you're a beginner or a kitchen expert looking to learn something new. The best kind of curries are those made from scratch, turning a pile of raw ingredients into something extraordinary using nothing but a bit of culinary know-how. You'll learn how to make a Thai Green curry paste that can be used to make a fragrant chicken curry, to be enjoyed alongside fluffy rice. This Vietnamese Street Food cookery class at The Jamie Oliver Cookery School will help you learn some of the skills and techniques that make classic Vietnamese cooking so special. Led by a professional chef - picked by Jamie Oliver himself - you'll use the best, fresh ingredients to make an authentic Vietnamese meal that you can recreate again and again. Jamie Oliver's Cookery School is the ideal place to learn cooking styles and dishes from all across the globe, all in the relaxed and informal fashion that Jamie Oliver's known for, conveniently located in the Westfield Shopping Centre in Shepherds Bush, London. Once there you'll meet one of Jamie's professionals, your lead on a culinary journey designed to be fun for all, whether you're a beginner or a kitchen expert looking to learn something new. Vietnamese cuisine is full of bold and aromatic flavours, so you'll need to make a selection of different street food dishes if you're to get a proper taste of those traditional and imaginative flavour combinations. Through classic beef pho, prawn and vegetable summer rolls and some delicious pork balls you'll get a crash course in the tastes of Vietnam, getting your hands dirty making them all before freshening up and chowing down! This Cookery Class at The Jamie Oliver Cookery School will help you learn some of the skills and techniques that make classic pasta dishes or Thai, Mexican, Indian or Vietnamese cuisine so special. Led by a professional chef - picked by Jamie Oliver himself - you'll use the best, fresh ingredients to make a authentic dishes that you can recreate again and again. Jamie Oliver's Cookery School is the ideal place to learn cooking styles and dishes from all across the globe, all in the relaxed and informal fashion that Jamie Oliver's known for, conveniently located in the Westfield Shopping Centre in Shepherds Bush, London. Once there you'll meet one of Jamie's professionals, your lead on a culinary journey designed to be fun for all, whether you're a beginner or a kitchen expert looking to learn something new. The best kind of food is made from scratch, turning a pile of raw ingredients into something extraordinary using nothing but a bit of culinary know-how. You'll learn how to make dishes that will impress friends and family alike. 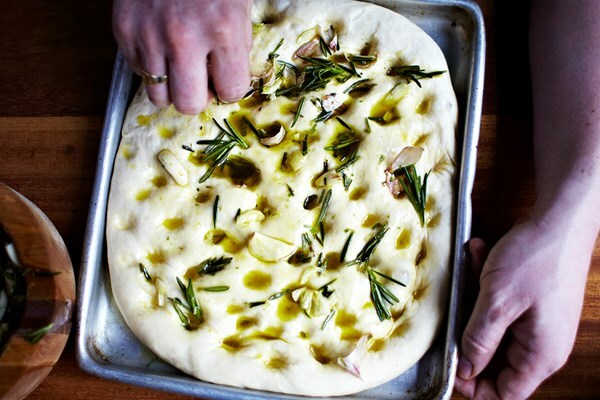 Ditch the takeaway menu for delicious homemade dough and fabulously fresh ingredients. This in-depth lesson takes you through all of the key tips, tricks and techniques for making a perfect, versatile dough that is quick and easy. Throw in some gorgeous toppings and then cook to perfection before sitting back and savouring the fruits of your labour! You even get to leave with another ball of dough so that youcan whip up your new speciality for your friends back home. This Pizza for Pros cookery class at The Jamie Oliver Cookery School will help you learn some of the skills and techniques that make classic Italian pizza-making so special. Led by a professional chef - picked by Jamie Oliver himself - you'll use the best, fresh ingredients to make an authentic Italian meal that you can recreate again and again. Jamie Oliver's Cookery School is the ideal place to learn cooking styles and dishes from all across the globe, all in the relaxed and informal fashion that Jamie Oliver's known for, conveniently located in the Westfield Shopping Centre in Shepherds Bush, London. Once there you'll meet one of Jamie's professionals, your lead on a culinary journey designed to be fun for all, whether you're a beginner or a kitchen expert looking to learn something new. 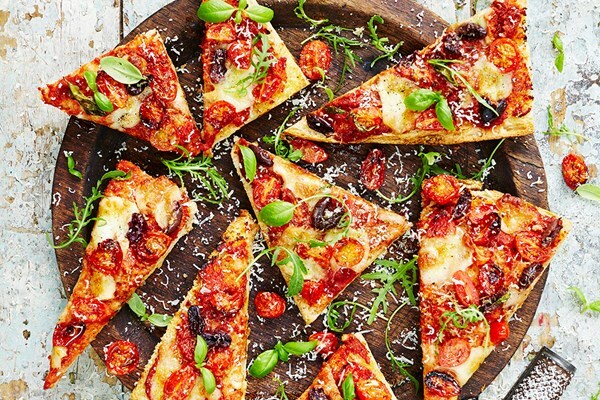 Making your own pizza is a relatively simple affair, but it takes a bit of expert flair to make it so you'll never need a takeaway pizza again. Following your professional chef, you'll learn how to make a fail-safe and versatile pizza dough and cook it to perfection when topped with delicious, fresh ingredients. 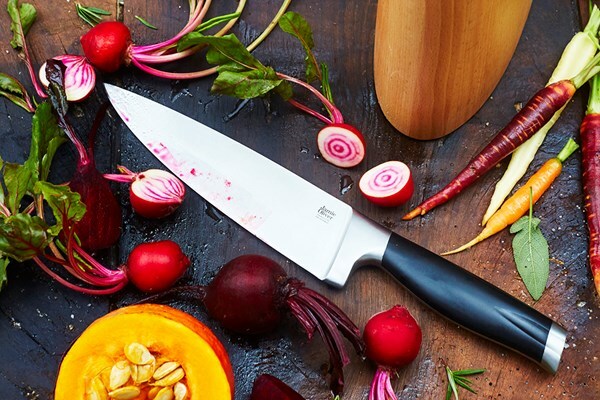 This Sharpen your Knife Skills class at The Jamie Oliver Cookery School will help you learn some of the skills and techniques that chefs use to slice and dice with precision, led by a professional chef - picked by Jamie Oliver himself. Jamie Oliver's Cookery School is the ideal place to learn cooking styles, skills and dishes from all across the globe, all in the relaxed and informal fashion that Jamie Oliver's known for, conveniently located in the Westfield Shopping Centre in Shepherds Bush, London. Once there you'll meet one of Jamie's professionals, your lead on a culinary journey designed to be fun for all, whether you're a beginner or a kitchen expert looking to learn something new. There's a right way and a wrong way to handle properly sharpened kitchen knives, and under the watchful eye of a trained professional you'll learn the most foolproof slicing, chopping and dicing techniques while preparing a delicious dish. Once the dish is made and the skills have been learned, all that'll be left to do is tuck into your tasty creation! 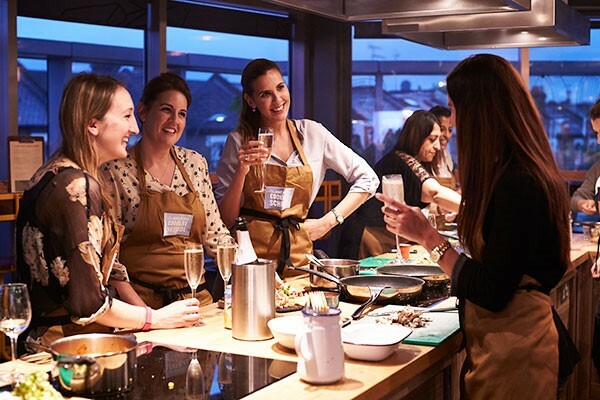 This Ultimate Risotto cookery class at The Jamie Oliver Cookery School will help you learn some of the skills and techniques to make the perfect risotto time after time. 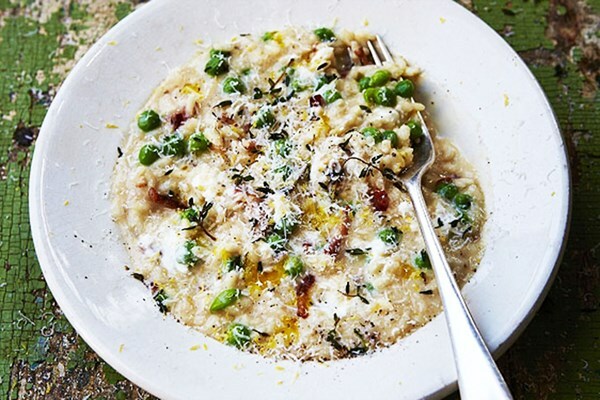 Led by a professional chef - picked by Jamie Oliver himself - you'll use the best, fresh ingredients to make an authentic Italian risotto that you can recreate again and again. Jamie Oliver's Cookery School is the ideal place to learn cooking styles and dishes from all across the globe, all in the relaxed and informal fashion that Jamie Oliver's known for, conveniently located in the Westfield Shopping Centre in Shepherds Bush, London. Once there you'll meet one of Jamie's professionals, your lead on a culinary journey designed to be fun for all, whether you're a beginner or a kitchen expert looking to learn something new. The principles of risotto might sound easy, but you'd be surprised what a difference using proper ingredients can make. You'll learn about the right rice and stock, as well as some tricks to help you get perfect results again and again, and you'll also get to use your leftover rice for some delicious little arancini - delicious little flavour-filled deep-fried rice balls. Create the staple Italian dish, risotto, during this cookery class at Jamie Oliver's state-of-the-art cookery school in Westfield, London. The cookery school's expert chefs who have been hand-picked by Jamie to teach a simple and delicious way to cook risotto. Receive a glass of Prosecco on arrival before donning an apron and creating a risotto using fresh and seasonal ingredients. Learn how to choose the right rice and the importance stock plays in creating a tasty risotto. Discover some simple tricks that help create the perfect risotto every time. Sit down at the end of the class and enjoy your delicious risotto with your classmates. With the rice that is leftover learn how to make some tasty arancini balls. 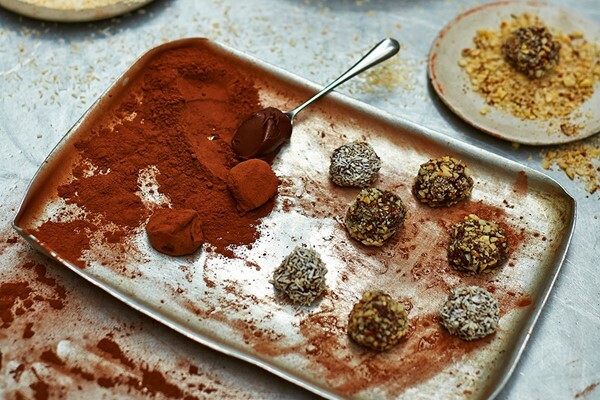 Discover happiness that you can eat with this All About Chocolate Class at The Jamie Oliver Cookery School. Learn the fine art of making one of life's greatest pleasures, with the guidance of a professional chef, chosen by Jamie Oliver himself. You'll make a creamy chocolate ganache that you'll then use to produce decadent truffles and melt-in-the-mouth chocolate mousse and create luxurious tempered chocolate discs. Total beginner or kitchen expert, there's no better place to indulge in the sweet side of life than in the relaxed setting of The Jamie Oliver Cookery School. Embark on a culinary journey to the Mediterranean with this Flying Visit to Spain Class at The Jamie Oliver Cookery School. Led by a professional chef - picked by Jamie Oliver himself - you'll learn some classic Spanish dishes guaranteed to be a hit at your next dinner party: Chicken & prawn paella, Patatas bravas and Chorizo in a red wine and tomato sauce. Whether you're a beginner or a kitchen expert, there's no better place to cook up a storm than in the relaxed and informal surroundings of Jamie Oliver's Cookery School. Using the finest ingredients, this is a place where fun meets flavour, with dishes you can recreate again and again. 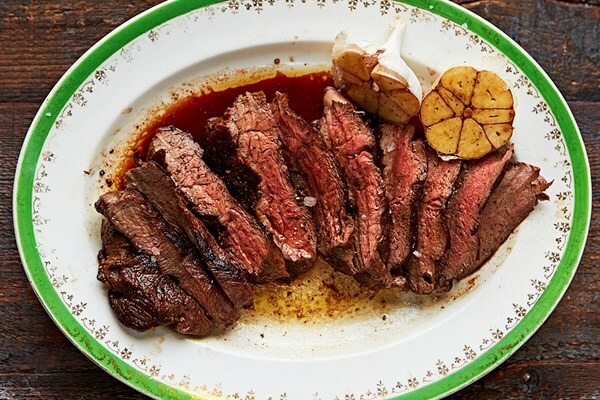 This Get Stuck into Steak cookery class at The Jamie Oliver Cookery School will help you learn some of the skills and techniques that make proper steak cooking so special. Led by a professional chef - picked by Jamie Oliver himself - you'll use the best, fresh ingredients to make high quality steak dinner that you can recreate again and again. Jamie Oliver's Cookery School is the ideal place to learn cooking styles and dishes from all across the globe, all in the relaxed and informal fashion that Jamie Oliver's known for, conveniently located in the Westfield Shopping Centre in Shepherds Bush, London. Once there you'll meet one of Jamie's professionals, your lead on a culinary journey designed to be fun for all, whether you're a beginner or a kitchen expert looking to learn something new. Jamie Oliver's known for his steak-cooking style, and you'll get to learn all of the tricks that go into his unique servings following one of his expert trained chefs. From what to look for in the shops to talk of different cuts (with the obligatory taste tests along the way), there's plenty to get stuck into here, as well as a full steak meal presented the Jamie way with classic sauces, fresh salad and perfect oven-roasted crispy wedges. Tuck in! This Taste of Japan cookery class at The Jamie Oliver Cookery School will help you learn some of the skills and techniques that make Japanese cuisine so special. Led by a professional chef - picked by Jamie Oliver himself - you'll use the best, fresh ingredients to make authentic and delicious Japanese food that you can recreate again and again. Jamie Oliver's Cookery School is the ideal place to learn cooking styles and dishes from all across the globe, all in the relaxed and informal fashion that Jamie Oliver's known for, conveniently located in the Westfield Shopping Centre in Shepherds Bush, London. Once there you'll meet one of Jamie's professionals, your lead on a culinary journey designed to be fun for all, whether you're a beginner or a kitchen expert looking to learn something new. Your experience will see you pay a flying visit to the Far East for a crash course in Japanese fare. You'll get to grips with some pork stuffed gyoza and sticky chicken teriyaki paired with some classic accompaniments in the form of flavoursome brown rice, pan-fried spinach with toasted sesame sauce, cucumber pickle, ponzu dipping sauce and tofu simmered in dashi and miso. 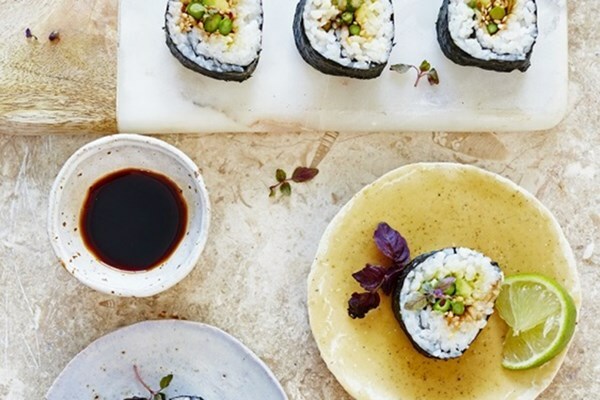 This Taste of Sushi cookery class at The Jamie Oliver Cookery School will help you learn some of the skills and techniques that go into making exquisite sushi. Led by a professional chef - picked by Jamie Oliver himself - you'll use the best, fresh ingredients to make authentic and delicious sushi that you can recreate again and again. Jamie Oliver's Cookery School is the ideal place to learn cooking styles and dishes from all across the globe, all in the relaxed and informal fashion that Jamie Oliver's known for, conveniently located in the Westfield Shopping Centre in Shepherds Bush, London. Once there you'll meet one of Jamie's professionals, your lead on a culinary journey designed to be fun for all, whether you're a beginner or a kitchen expert looking to learn something new. Homemade sushi is much easier to prepare than you might think. You'll set about making your own mouth-watering sushi rolls. You'll learn to make spicy wasabi crab and an 'inside out' roll with pan-fried salmon and avocado. As well as this, you'll make a quick and tasty enoki mushroom hand roll with a complementing dipping sauce. Learn how to spice up your evening meals in style with this Quick and Easy Dinnertime Cookery Class at Jamie Oliver's Cookery School. Enjoy a welcome drink on arrival before the fun begins. Working in pairs and with recipes taken from Jamie's bestselling book 'Five Ingredients: Quick and Easy Food,' you'll whip up the likes of sweet and sour chicken noodles and ginger shakin' beef, before a mini masterclass on making super green spaghetti. Your class will be taken by a professional chef, and you'll have the chance to sit down and enjoy your meals at the end. Discover the art behind cooking melt-in-the-mouth pork belly with crunchy crackling during this class at Jamie Oliver's state-of-the-art cookery school in Westfield, London. The cookery school's expert chefs who have been hand-picked by Jamie to teach you how to cook Jamie's favourite cut of meat in order to make an unbeatable roast dinner. 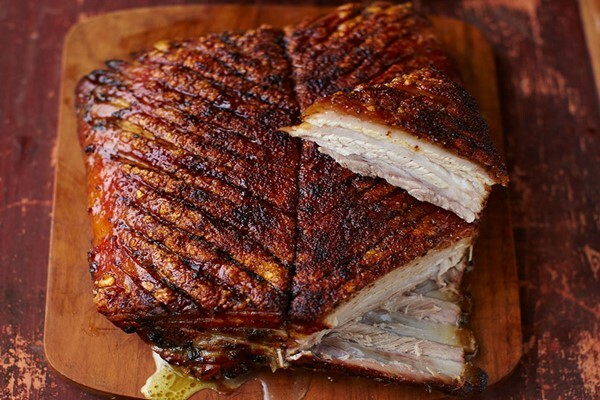 Receive a glass of Prosecco on arrival before donning an apron and preparing a cut of pork belly, enough to feed between four and six people. Make homemade apple sauce and proper gravy and get tips on how to make the ultimate crackling. At the end of the class, tuck into a pork roll made by the chef, and take the beautifully prepared pork belly home to make a dinner that will wow friends and family. Become immersed in the exotic flavours and simple nutritiousness of Japanese cuisine at Jamie Oliver's cutting edge Cookery School in Westfield, London. After a welcome glass of Prosecco, don an apron and step into the spacious, high-tech kitchens. 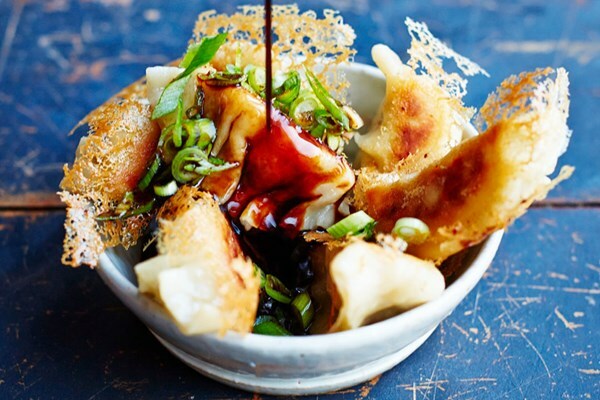 Under the guidance of expert chefs specially handpicked by Jamie himself, discover how to create show-stopping dishes such as pork gyoza with a sesame dip, sticky chicken teriyaki with stir-fried brown rice and tofu simmered in dashi and miso soup. Once the cooking is over, sit down with classmates to tuck into the piping hot creations with pride. Leave with an arsenal of new tips and ideas to explore back at home. When it comes to steak, it takes real skill to cook it to perfection and Jamie Oliver's Cookery School is the perfect place to master this art. Located in Westfield Shepherds Bush, the cookery school boasts state-of-the-art facilities and expert chefs on hand, who have each been hand-picked by Jamie Oliver himself. Enjoy a glass of prosecco upon arrival, before donning an apron and learning everything there is to know about delivering a delicious steak meal. Teachings include the differences between the different cuts of meat and how to cook the steak with precision. Finish up by serving it with some classic sauces, fresh salad and oven-roasted sweet potato wedges, before sitting down with the class to sample the delicious finished product! Let your mind drift to the sunny shores of Spain on this exotic Spanish cooking course at The Jamie Oliver Cookery School. Jam-packed with flavour and character, Mediterranean food is a popular choice around the world and hearty ingredients such as olive oil, wine and garlic form the core of Spanish cuisine. Hosted by a top chef, hand-picked by Jamie himself, learn how to cook three tasty traditional Spanish dishes from scratch. 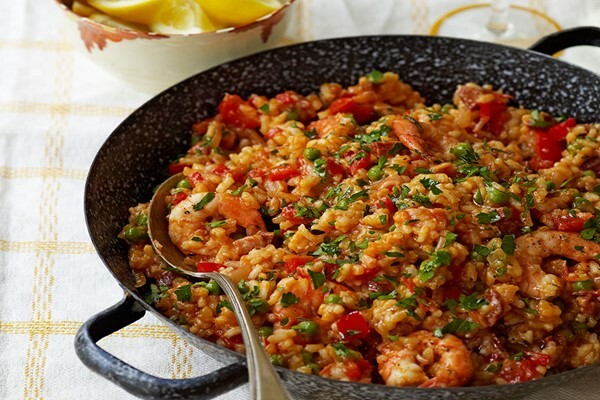 Begin with a mouth-watering chicken and prawn paella, before moving on to two bite-size tapas dishes, patatas bravas and chorizo in tomato and red wine sauce. Its the ultimate dinner party spread. After all the cooking, sit down with the rest of the class and tuck into the tasty food. Its time for a siesta after all! This Baking Bread: Knead to Know cookery class at The Jamie Oliver Cookery School will help you learn some of the skills and techniques that make for brilliant bread baking. Led by a professional chef - picked by Jamie Oliver himself - you'll use the best, fresh ingredients to make amazing breads that you can recreate again and again. Jamie Oliver's Cookery School is the ideal place to learn cooking styles and dishes from all across the globe, all in the relaxed and informal fashion that Jamie Oliver's known for, conveniently located in the Westfield Shopping Centre in Shepherds Bush, London. Once there you'll meet one of Jamie's professionals, your lead on a culinary journey designed to be fun for all, whether you're a beginner or a kitchen expert looking to learn something new. Over the course of your 3.5-hour class, you'll learn the basics of bread baking as well as getting to know the different flours, yeast and kneading methods. On the day, you'll whip up focaccia, crusty white rolls and a delicious Italian-style stuffed wholewheat bread all to take away. Perfect to show off at home, or for taking a humble sarnie to the next level. Jamie Oliver's Cookery School in Westfield, London is the ideal location to learn all that you 'knead to know' about baking bread. Baking can often be a labour of love but learn to make some delicious fresh loaves by the end of this session with the help of expert chefs who have been hand-picked by Jamie! Receive a glass of Prosecco on arrival before donning an apron and learning the basics of bread baking as well as getting to know the different flours, yeast and kneading methods. Whip up focaccia, crusty white rolls and a delicious Italian-style stuffed whole wheat bread during the class and take home the breads with you or sit with your classmates and tuck into the tasty bakes! Treat yourself and someone special to a three-course meal for two at Jamie Oliver's Fifteen Restaurant. Enjoy a glass of Prosecco and some classic dishes from a menu thats bursting with locally sourced, seasonal produce. Since 2002 Jamie Oliver's Fifteen near Islington, London, has been serving up delicious food cooked by a team of apprentices and professional chefs alike. 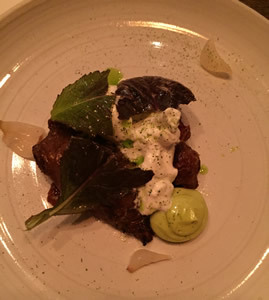 Within the restaurant's bright and open surroundings, a 5 minute walk from Old Street station, you'll find a regularly changing menu filled with elegant, rustic and honest dishes mixed with some new and inspired flavours created by head chef Robbin Holmgren and Jamie himself. Fresh produce is delivered daily and often includes vegetable from Jamies own garden. You'll each be able to enjoy dishes such as Homemade sourdough, Quail with leeks and tarragon and Chocolate with cumin caramel and whisky ice cream. As no special meal would be complete without a glass of something bubbly, you'll each be served a glass of Prosecco to make this a meal to remember. 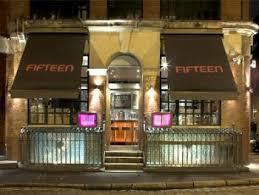 A meal at Fifteen is an ideal addition to any London day or night out. Forget worrying about a dinner party recipe ever again, because the answer's right here. 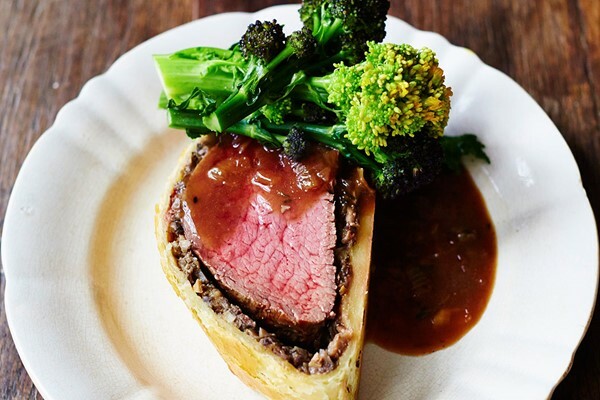 Get schooled in the art of culinary excellence with this Showstopping Beef Wellington Class at the Jamie Oliver Cookery School. You'll be shown how to make a version for big parties, all while you prepare your own prime British beef fillet. You'll top it with mushroom duxelles, wrap it in Parma ham and roll it up in a puff pastry case, accompanied by seasonal vegetables. Total beginner or kitchen expert, you can rest assured you'll have great fun in the relaxed surroundings while you learn some fantastic lifelong skills to match. Of course, you'll finish by dining on your finished creations, too! Want to learn how to create an impressive main course for a dinner party? This beef wellington cookery class at Jamie Oliver's state-of-the-art cookery school in Westfield, London should do the trick! The school's expert chefs who have been hand-picked by Jamie teach you to make a dish that not only looks impressive but is easy to assemble too! Receive a glass of Prosecco on arrival before watching a demonstration on how to make a big version of beef wellington, which is perfect for big parties. Next, prepare an individual version using a prime British beef fillet and then top with mushrooms before wrapping it up in Parma ham, before rolling it up in a puff pastry case. Enjoy the meal with your classmates. Be dinner party ready in no time! Jamie Oliver's Cookery School in Westfield, London is the perfect spot to learn to create the perfect, fragrant Thai green curry. The cookery school boasts state-of-the-art facilities and expert chefs who have been hand-picked by Jamie to teach you how to make a tasty curry. Receive a glass of Prosecco on arrival before donning an apron and learning to make a curry paste from scratch and how to maximise the flavour from the spices. Turn the homemade paste into a fragrant chicken curry and make a refreshing salsa to go on the side. Discover the secret behind how to make perfectly cooked rice. Finish by sitting with your classmates and tucking into the tasty dish! Jamie Oliver's Cookery School in Westfield, London is the perfect location to get a crash course in authentic Mexican street food. The cookery school boasts state-of-the-art facilities and expert chefs who have been hand-picked by Jamie to teach you how to make a Latin American feast. Receive a glass of Prosecco on arrival before donning an apron and learning to make easy hand-pressed corn tortillas to hold your toppings in - sticky smoked chipotle chicken, sauteed spinach with feta and a spicy roasted corn salsa. Make a smashed guacamole and a tomato salsa to go on the side. Sit and enjoy what you have made with your classmates, but don't forget to give the whole meal a good squeeze of lime for some real Mexican spirit. For a real taste of taste of traditional Gujarati cuisine, head to Jamie Oliver's Cookery School in Westfield, London. The cookery school boasts state-of-the-art facilities and expert chefs who have been hand-picked by Jamie to teach you how to make a traditional Indian feast. Receive a glass of Prosecco on arrival before donning an apron and learning about what makes Gujarati cuisine so unique and versatile. Cook a vegetarian Gujarati thali - a selection of small dishes and rice that's traditionally served on a tray. Learn how to make lentil dahl with rice, a chickpea masala, crispy spiced okra and chapati bread. Plate up your one-man banquet before sitting down with your classmates to tuck in! Ever fancied learning how to make pasta from scratch? Now's your chance with Jamie Oliver's Cookery School in Westfield, London. The cookery school boasts state-of-the-art facilities and expert chefs who have been hand-picked by Jamie to teach you how to make incredibly quick and delicious fresh pasta from scratch! Receive a glass of Prosecco on arrival before donning an apron and learning the secret to making the perfect pasta dough every time. Once you have mastered that, use your new skills to make a variety of pasta shapes including lasagne sheets to fettuccine and two delicious sauces during the class. Finish off by tucking into the pasta with your classmates at the end of the class. Forever be the envy of friends and family at mealtimes. 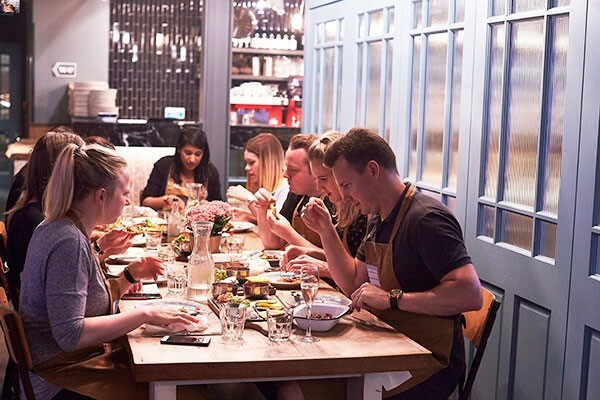 Learn to make a tasty prawn curry from scratch during this class at Jamie Oliver's state-of-the-art cookery school in Westfield, London. The cookery school's expert chefs who have been hand-picked by Jamie to teach you how to cook a curry that is made from scratch and uses a homemade paste. Receive a glass of Prosecco on arrival before donning an apron and getting started with the tasty Keralan curry paste that will be the base of the prawn curry. Tuck into your creation with your fellow classmates and enjoy the curry served up with fluffy rice, vegetable bhajis and a zingy coriander chutney to complement the meal. Want to learn how to cook fresh pasta? Now's your chance with Jamie Oliver's Cookery School in Westfield, London. The cookery school boasts state-of-the-art facilities and expert chefs who have been hand-picked by Jamie to teach you how to make homemade, impressive filled pasta from scratch. Receive a glass of Prosecco on arrival before donning an apron and learning the secret behind creating the perfect pasta dough every time. Discover how the filling for the pasta is made and then get creative making two to three different types of filled pasta. Serve the pasta up with a simple sauce for the ultimate Italian treat. At the end of the class sit down with your classmates to enjoy the fruits of your labour! Discover how to make Vietnamese street food dishes during this hands-on class with Jamie Oliver's Cookery School in Westfield, London. The cookery school boasts state-of-the-art facilities and expert chefs who have been hand-picked by Jamie himself. Receive a glass of Prosecco on arrival before donning an apron and learning about the aromatic flavours used in Vietnamese cooking. Create a beautiful selection of street food dishes using both traditional and imaginative flavour combinations. Watch the chef make a classic beef pho and then make prawn and vegetable summer rolls and pork balls yourself. Serve it all up with a dipping sauce that complements lots of Vietnamese dishes. Tuck into the creations at the end with your fellow classmates! This Cookery Class at The Jamie Oliver Cookery School will help you both learn some of the skills and techniques that make classic pasta dishes or Thai, Mexican, Indian or Vietnamese cuisine so special. Led by a professional chef - picked by Jamie Oliver himself - you'll use the best, fresh ingredients to make a authentic dishes that you can recreate again and again. Jamie Oliver's Cookery School is the ideal place to learn cooking styles and dishes from all across the globe, all in the relaxed and informal fashion that Jamie Oliver's known for, conveniently located in the Westfield Shopping Centre in Shepherds Bush, London. Once there you'll meet one of Jamie's professionals, your lead on a culinary journey designed to be fun for all, whether you're a beginner or a kitchen expert looking to learn something new. The best kind of food is made from scratch, turning a pile of raw ingredients into something extraordinary using nothing but a bit of culinary know-how. You'll both learn how to make dishes that will impress friends and family alike. This Mexican Street Food Class at The Jamie Oliver Cookery School for two will help you both learn some of the skills and techniques that make classic Mexican cooking so special. 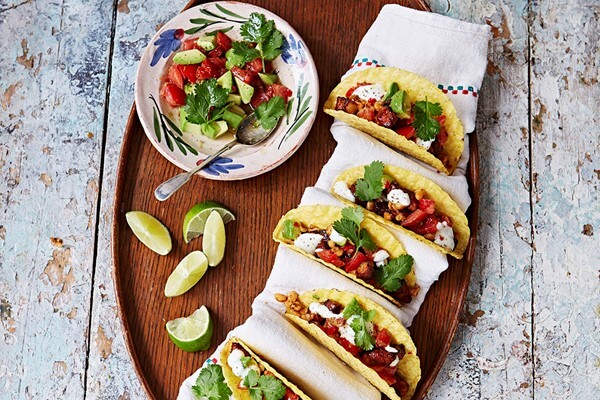 Led by a professional chef - picked by Jamie Oliver himself - you'll use the best, fresh ingredients to make an authentic Mexican meal that you can recreate again and again. Jamie Oliver's Cookery School is the ideal place to learn cooking styles and dishes from all across the globe, all in the relaxed and informal fashion that Jamie Oliver's known for, conveniently located in the Westfield Shopping Centre in Shepherds Bush, London. Once there you'll meet one of Jamie's professionals, your lead on a culinary journey designed to be fun for all, whether you're a beginner or a kitchen expert looking to learn something new. You'll each make and load up hand-pressed corn tortillas with chipotle chicken, sauteed spinach with feta, and roasted corn salsa, and smash some guacamole together with a chunky salsa to enjoy on the side when it's time to dine. It's fun, it's easy and it's all kinds of delicious, and great to make again when you've got friends over! This vegan North Indian Thali Cookery Class at The Jamie Oliver Cookery School for two will help you both learn some of the skills and techniques that make North Indian cooking so special. Led by a professional chef - picked by Jamie Oliver himself - you'll use the best, fresh ingredients to make an authentic North Indian cuisine that you can recreate again and again. Jamie Oliver's Cookery School is the ideal place to learn cooking styles and dishes from all across the globe, all in the relaxed and informal fashion that Jamie Oliver's known for, conveniently located in the Westfield Shopping Centre in Shepherds Bush, London. Once there you'll both meet one of Jamie's professionals, your lead on a culinary journey designed to be fun for all, whether you're a beginner or a kitchen expert looking to learn something new. Traditional Gujarati cuisine is a showcase of different cooking methods and flavours, making it a great cuisine to get familiar with. You'll cook a Vegan Gujurati Thali, a selection of small dishes and rice traditionally served on a tray. Your thali will encompass a lentil dahl, chickpea masala, crispy spiced okra, chapatti bread and stir-fried vegetables. Learn how to serve your banquet before tucking in. This Pasta Master Class for Two at The Jamie Oliver Cookery School will help you learn some of the skills and techniques that make for exceptional pasta. Led by a professional chef - picked by Jamie Oliver himself - you'll each use the best, fresh ingredients to make delicious pastas that you can recreate again and again. Jamie Oliver's Cookery School is the ideal place to learn cooking styles and dishes from all across the globe, all in the relaxed and informal fashion that Jamie Oliver's known for, conveniently located in the Westfield Shopping Centre in Shepherds Bush, London. Once there you'll meet one of Jamie's professionals, your lead on a culinary journey designed to be fun for all, whether you're a beginner or a kitchen expert looking to learn something new. Once you've cracked it, fresh pasta is super easy to make and even easier to eat. Instantly impressive at any mealtime, you'll be let in on the secrets of making perfect pasta dough, every time. You'll use your new skills to make a variety of pasta shapes, from lasagna sheets to fettuccine, served with a lip-smacking simple sauce. This Thai Feast Class for Two at The Jamie Oliver Cookery School will help you both learn some of the skills and techniques that make Thai cuisine so special. Led by a professional chef - picked by Jamie Oliver himself - you'll use the best, fresh ingredients to make authentic Thai food that you can recreate again and again. Jamie Oliver's Cookery School is the ideal place to learn cooking styles and dishes from all across the globe, all in the relaxed and informal fashion that Jamie Oliver's known for, conveniently located in the Westfield Shopping Centre in Shepherds Bush, London. Once there you'll both meet one of Jamie's professionals, your lead on a culinary journey designed to be fun for all, whether you're a beginner or a kitchen expert looking to learn something new. Thai food is all about simple ingredients and you'll learn how to put them together right. Learn how to balance the five key taste sensations before creating a delicious meal that you can recreate at home. You'll get cooking sweet and sour prawn soup, crispy fried chilli beef with a tender-stem broccoli and pak choi stir fry. Dessert isn't forgotten as you learn the secrets behind a classic coconut rice pudding with sticky roasted pineapple. This Vietnamese Street Food Class for Two at The Jamie Oliver Cookery School will help you both learn some of the skills and techniques that make classic Vietnamese cooking so special. Led by a professional chef - picked by Jamie Oliver himself - you'll use the best, fresh ingredients to make an authentic Vietnamese meal that you can recreate again and again. Jamie Oliver's Cookery School is the ideal place to learn cooking styles and dishes from all across the globe, all in the relaxed and informal fashion that Jamie Oliver's known for, conveniently located in the Westfield Shopping Centre in Shepherds Bush, London. Once there you'll meet one of Jamie's professionals, your lead on a culinary journey designed to be fun for all, whether you're a beginner or a kitchen expert looking to learn something new. Vietnamese cuisine is full of bold and aromatic flavours, so you'll need to make a selection of different street food dishes if you're to get a proper taste of those traditional and imaginative flavour combinations. Through classic beef pho, prawn and vegetable summer rolls and some delicious pork balls you'll get a crash course in the tastes of Vietnam, getting your hands dirty making them all before freshening up and chowing down! Delve into the satisfying business of creating pizza dough from scratch at Jamie Oliver's state-of-the-art cookery school in Westfield. Glean copious cookery wisdom from the school's expert chefs, specially hand-picked by Jamie. Upon arrival, sip a glass of Prosecco, then don an apron, roll up those sleeves and let the pizza making commence. Create a versatile and failsafe pizza dough, roll it out evenly and top it off with lip-smacking fresh ingredients. Cook the pizza to perfection and then take a seat around the table with fellow classmates to tuck into the meals. Last but not least, take home an extra ball of dough, ready to roll out back at home. There's nothing in the world quite like the smell of fresh dough baking. Enjoy a special day out in London filled with sightseeing and delicious food with this fantastic two-parter, and see the city from the water before dining on celebrity chef fare with this Three Course Dining Experience with Prosecco at Jamie Oliver's Fifteen and Thames River Sightseeing Cruise for Two. Since 2002 Jamie Oliver's Fifteen near Islington, London, has been serving up delicious food cooked by a team of apprentices and professional chefs alike. Within the restaurant's bright and open surroundings, a 5 minute walk from Old Street station, you'll find a regularly changing menu filled with elegant, rustic and honest dishes mixed with some new and inspired flavours. You'll have three courses each to savour along with a glass of Prosecco, and as fresh produce is delivered daily and often includes vegetables from Jamies own garden you can be sure this is some of the freshest food in town! Before and/or after your meal you can take a hop-on, hop-off tour of the Thames aboard a Thames river cruise, perfect for a bit of London sightseeing with uncluttered views and helpful commentary on the sights you'll see. Cruise past St Paul's Cathedral, The Tower of London, the Houses of Parliament and more, and enjoy an unforgettable day out in the capital. Jamie Oliver's Cookery School in Westfield, London is the perfect location to learn how to cook steak to perfection. The cookery school boasts state-of-the-art facilities and expert chefs who have been hand-picked by Jamie to teach you how to make the perfect steak dinner. Receive a glass of Prosecco on arrival before donning an apron and learning the differences between the different cuts with lots of taste testing along the way! Next, cook your own steak, present it the Jamie way and enjoy it at the end of the class alongside your classmates. Serve the steak with some classic sauces, a fresh salad and oven-roasted sweet potato wedges. Delicious! Treat yourselves to a day out in London featuring sightseeing and fine food inspired by Jamie Oliver himself with this The View from The Shard and Three Course Dining Experience with Prosecco at Jamie Olivers Fifteen for Two. Since 2002 Jamie Oliver's Fifteen near Islington, London, has been serving up delicious food cooked by a team of apprentices and professional chefs alike. Within the restaurant's bright and open surroundings, you'll find a regularly changing menu filled with elegant, rustic and honest dishes mixed with some new and inspired flavours, and you'll have three courses each to savour along with a glass of Prosecco. You'll also get to head to The Shard, the capital's highest building, and shoot up 68 floors to the stunning View from The Shard for an hour or two's sightseeing. From there you'll have views that can stretch up to 40 miles into the distance, perfect for some sky-high snaps of the capital - and you can stay as long as you want to take it all in. With interactive telescopes you'll be able to identify all that you survey, meaning finding where you want to go next will be a doddle! Immerse yourself in a full day of Italian cookery with this Jamie Cooks Italy Class at The Jamie Oliver Cookery School. Embark on a culinary journey through some of Italy's most famous regions, discovering recipes from Jamie Oliver's new book and TV show. The professional chef will demonstrate how to create a classic meat ragu before the hands on lesson starts. Visit Naples and whip up a pizza fritta, master the art of gnocchi in Rome, and take a breather at the beach to make stuffed braised squid from Salina. You'll also create an apricot salad, and Gianduja - the original Nutella! With tasters throughout and lunch with a glass of wine this experience is both delicious and great fun in equal measures, get ready to cook up a storm and learn recipes you can recreate again and again at home. Taste your way through the head chef's favourite dishes with a beautiful six-course menu at Jamie Oliver's Fifteen restaurant near Islington, London. Enjoy it all with a gin-based aperitif to start and digestif to finish. 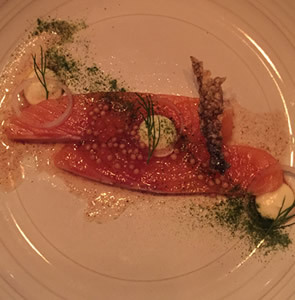 Since 2002 Jamie Oliver's Fifteen near Islington, has been serving up delicious food cooked by a team of apprentices and professional chefs alike. Within the restaurant's bright and open surroundings, a 5 minute walk from Old Street station, you'll find a regularly changing menu filled with elegant, rustic and honest dishes with new and inspired flavours, created by head chef Robbin Holmgren and Jamie himself. Fresh produce is delivered daily and often includes vegetable from Jamies own garden. From the chef's choice menu you'll be served five courses of Robbins favourites, including Burrata, cal�ot onion, smoked walnut and malt, Gnocchi with delica squash and Chocolate with cumin caramel and whisky ice cream, with even more dishes to enjoy as the meal goes on like a cheese board and tasty nibbles. There's even digestif cocktails to finish! You'll each start with a gin-based cocktail too - the bar's signature drink - starting your meal off in true Jamie Oliver style, helping to make it a meal you won't want to forget for all the right reasons. This Intro to classic Italian cookery class at The Jamie Oliver Cookery School will help you learn some of the skills and techniques that make classic Italian cooking so special. Led by a professional chef - picked by Jamie Oliver himself - you'll use the best, fresh ingredients to make an authentic Italian meal that you can recreate again and again. Jamie Oliver's Cookery School is the ideal place to learn cooking styles and dishes from all across the globe, all in the relaxed and informal fashion that Jamie Oliver's known for, conveniently located in the Westfield Shopping Centre in Shepherds Bush, London. Once there you'll meet one of Jamie's professionals, your lead on a culinary journey designed to be fun for all, whether you're a beginner or a kitchen expert looking to learn something new. 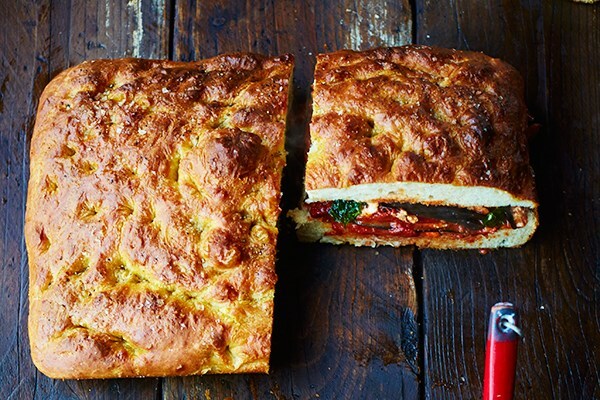 On this all-day class, you'll create beautiful focaccia ready to be dipped into rich, homemade tomato and aubergine parmigiana. Toast delicious antipasti with a drink, before learning to make unforgettable risotto and the secrets behind turning leftovers into beautiful arancini balls. Dessert isn't forgotten and it'll be a classic, creamy and indulgent tiramisu on the day. Perfect for those who lead busy lives, this quick and easy food course at the Jamie Oliver Cookery School in Shepherds Bush is just the answer to enjoying great food, without spending hours in the kitchen. Learn from the best, as a top chef hand-picked by Jamie himself, guides a class of budding cooks through five tasty recipes that can be whipped up in less than 30 minutes. Enjoy a welcome drink, before cooking up a storm! Create a mouth-watering meltin' mustardy beef dish, crispy garlicky chicken, quick Asian fishcakes, potato and artichoke al forno and an indulgent cherry chocolate mousse. Pick up some priceless cooking skills along the way, including how to handle a knife and how to break down a chicken correctly to slow braise and sautee.